The terrorist attacks carried out in Brussels and Paris reveal the unprecedented level of conspiring, planning and discipline of terrorist cells operating in Europe, sources in Germany's security services told Der Spiegel. The terrorist attack last week by the Brussels cell of the Daesh terrorist group is the first time that a group of terrorists have shown the discipline to carry out one attack, in Paris in November, and then lie low and carry out another, German newspaper Der Spiegel reported. "We are dealing with a new quality of Islamic terrorism in Europe," a source in Germany's security services told the newspaper, which has put together a picture of the terrorist cell that carried out the attacks, from commanders to subordinates. The leader of the Paris attackers is thought to be 28-yar-old Abdelhamid Abaaoud, a Belgian national of Moroccan descent who was killed in an anti-terror raid a few days after the Paris attacks. Abaaoud grew up in the Molenbeek suburb of Brussels that is known for being home to groups of Islamic radicals. In 2013 he traveled to Syria and joined Daesh, after which he appeared in several jihadist propaganda videos under the pseudonym Abu Omar al-Baljiki. Police at the scene of a security operation in the Brussels suburb of Molenbeek in Brussels. It is believed that Abaaoud was one of three leaders of a Belgian terrorist cell in Verviers that was raided by police in January 2015; at the time of the police raid, in which two men were killed and another were arrested, Abaaoud was not in their apartment and consequently fled to Syria before returning to Europe to carry out the Paris attacks. Moroccan born Belgian national Najim Laachraoui, 24, also known as Soufiane Kayal, was the terror cell's explosives expert. He blew himself up in the suicide bombing at Brussels airport on March 22, as did Ibrahim El Bakraoui, 29. 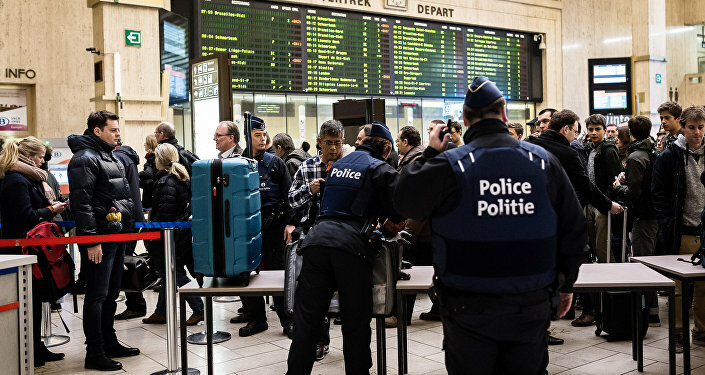 Bakraoui's brother Khalid El Bakraoui, 27, attacked a train at Maelbeek station. Der Spiegel refers to the El Bakraoui brothers as the "organizers" of the attacks, who had also rented the apartment in which Salah Abdeslam, who organized the Paris attacks, hid from the security services until his arrest on March 18. "Probably the most important logistician of the group was Salah Abdeslam, who was arrested last Friday. He drove across Europe to collect conspirators, most often in German mid-range rented cars. It is presumed that they had arrived in the European Union posing under a false identity as refugees." "At the beginning of October he picked up three Syrians from a hotel in Ulm (Germany). A month earlier he picked up  Najim Laachraoui in Budapest. According to Spiegel's sources, in mid-September 2015 he made another trip to the Hungarian capital in a rented Audi A6. The reason for the trip is as yet unclear." Der Spiegel describes the third category of terrorist as "the ones who took the orders." These include Mohammad Almahmod and Ahmad Almohammad, who blew themselves up close to the Stade de France in Paris on November 13. Both of these terrorists had traveled through the Balkan route to Europe using fake Syrian passports; a Daesh propaganda report claimed that they were Iraqi nationals. "The security services believe that these men were ordered by Daesh to use refugee migration routes in order to discredit migrants as a whole," Der Spiegel reports. 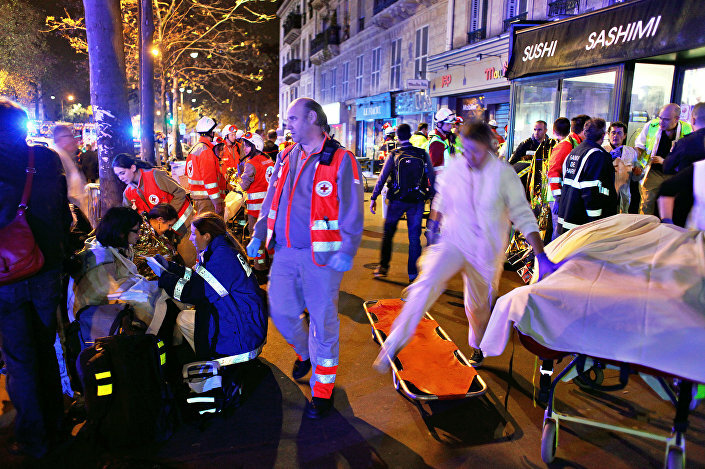 "Belgian Bilal Hafdi, 20, who blew himself up outside the Stade de France, can be counted as among the lowest level of operative. It is possible that he had been injured when he was fighting as a jihadist in Syria." Members of the terrorist cell in Syria also played a key role in planning the terrorist attacks. Charaffe El Mouadan, 26, and Samir Bouabout, 28, are thought to be members of the terrorist cell who are currently in Syria, so far evading the efforts of authorities to capture them. "In El Mouadan's case it is probably more of a precaution. The Islamist is thought to have been killed in December in a drone attack." They grew up in Drancy, a suburb of Paris, along with Samy Amimour, who was one of three suicide attackers at the Bataclan concert hall on November 13. One of the most important planners in Syria is thought to have been Salim Benghalem, 35, who joined Daesh in 2013 and is likely to have been responsible for kidnapping French journalists in Syria in 2014. "In January a French court sentenced him in absentia to 15 years in prison for being a member of a terrorist group. He also has a dark criminal past, and his radicalization began when he was serving time in prison for attempted murder," Spiegel reported.